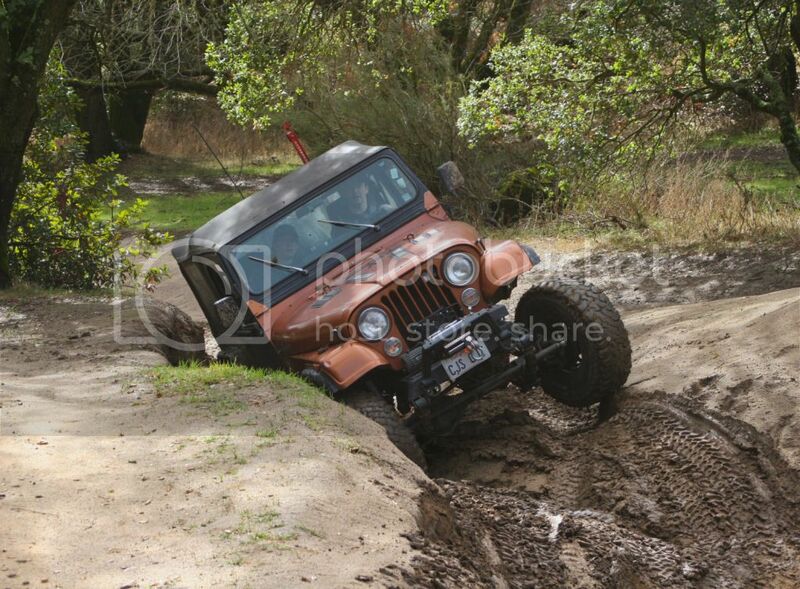 It's been a dry winter so far but some how myself and the group that I wheel with managed to find the only day that had massive rainfall, which led to some good muddy times. A little more contrast wouldn't hurt. nice set. 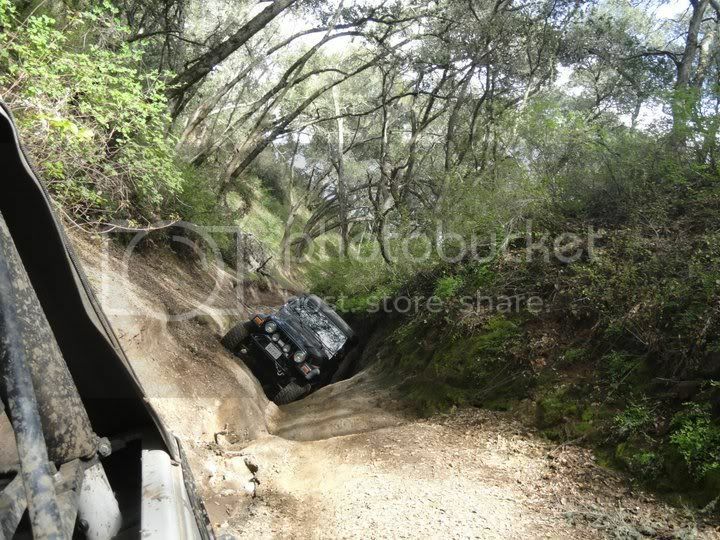 is that off road park in N. Calif (near Folsom?)? totally! we've got a newer model one here at work. such a badass piece of gear. 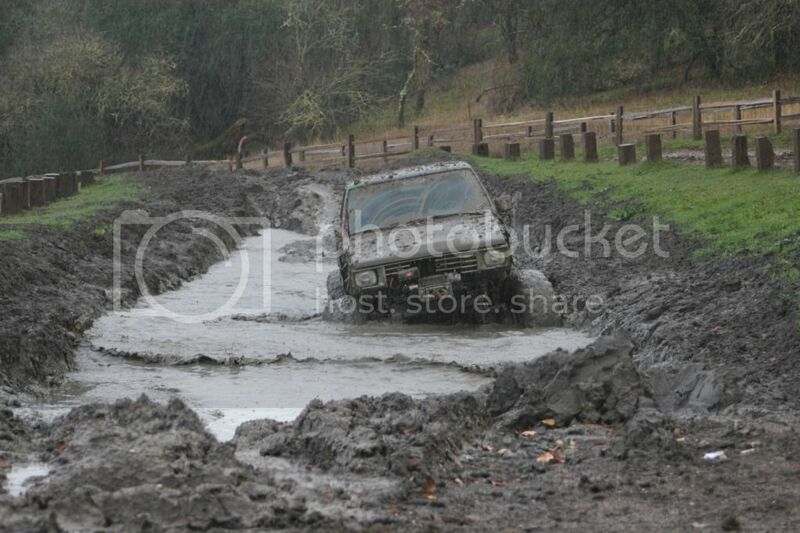 I don't play in that much mud. Too much of a pain to clean. And then when you're working under your truck later...it falls all over you with everything you do. Thanks guys. 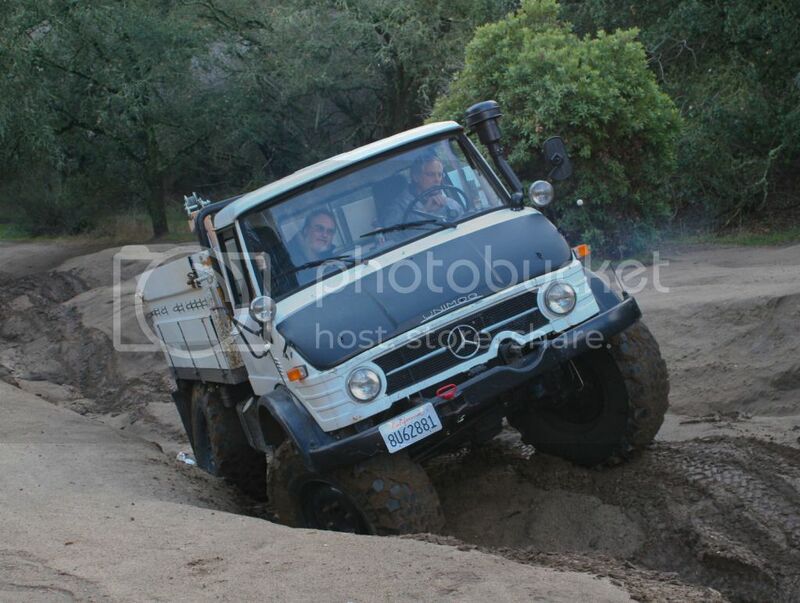 We were at Hollister OHV, the one near Folsom is Prarie City. I agree, mud generally isn't my thing either as I like to play on the rocks but that was the kind of weather we were dealth with that day. And when that mud dries, it's like concrete that you just can't get rid of and always hits you on your head when you're working on your rig. 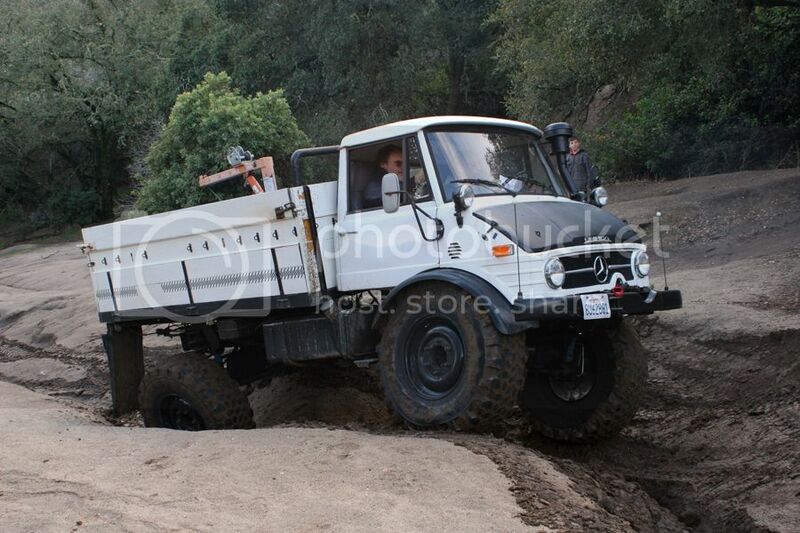 Also, here's some more shots of the Unimog, that thing is just a beast and just goes over any kind of terrain. Nice shots. 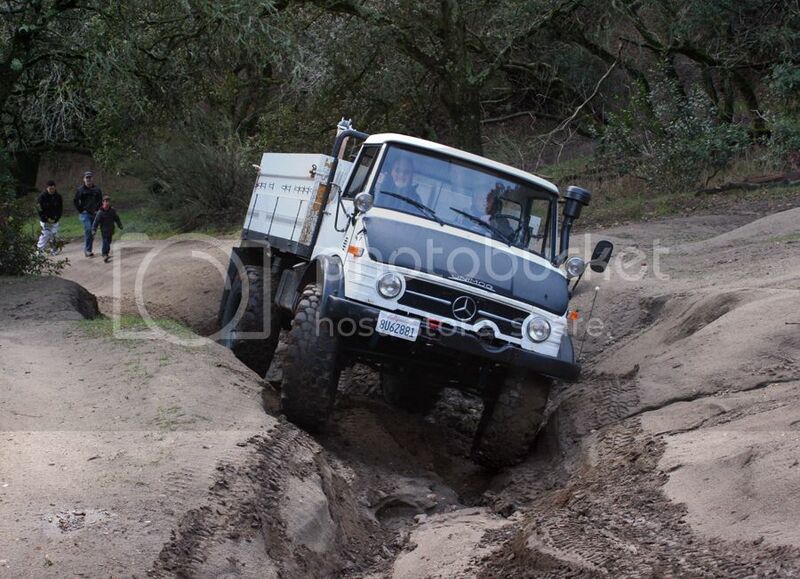 Gotta love the Unimog. Yeah, that's pretty mild for what we usually do. 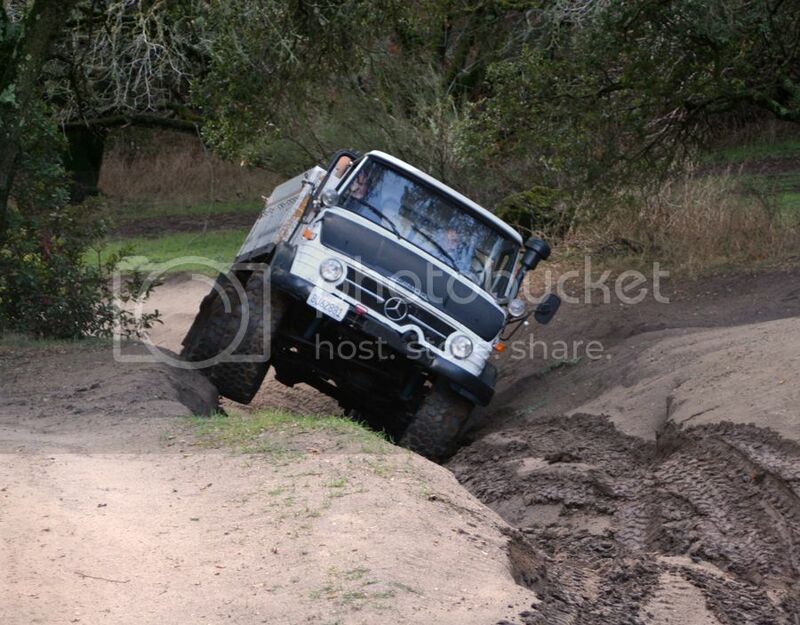 here's a shot from a different trail in the same park of me in my rig, taken by a friend of mine. A few minutes before this shot, I found the tipping point of my rig. A few minutes before this shot, I found the tipping point of my rig. Have you thought about installing a turn & bank indicator?